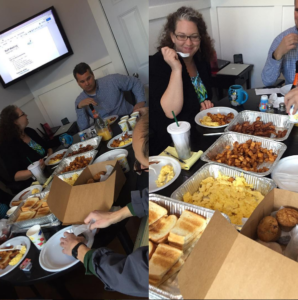 Meetings are better with eatings! Big Governor’s breakfast for everyone! One day in 2016, Monique and Evan were tasked with framing up a special activity for an all-staff gathering. As everyone knows, success begins with a great breakfast, and that’s how RainStorm wound up with a tin of toast on our conference table that would boggle the mind. 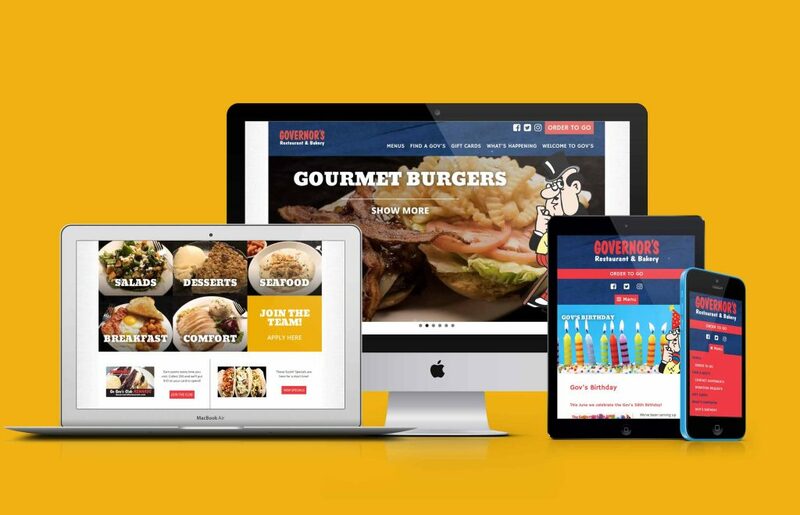 So when Jill Fiore came to us with a new web design for Governor’s Restaurant, how could we have resisted?Governor’s had a website that was strongly branded but also dated. It needed a revamp to keep up with its newer marketing materials, new online ordering system, and of course, increased site access by visitors using mobile phones. The site design Jill created features beautiful, mouth-watering images and clear, straightforward navigation. Using Jill’s designs, we created a website using the WordPress CMS that looks great on cell phones as well as desktops, laptops, and tablets of all sizes. RainStorm built a website that allows image and content blocks throughout the site to be easily changed to reflect current specials and featured items through an easy-to-use admin area. Built in tools track SEO potential and offer real-time analytics so Governor’s can fine-tune its content to best engage its visitors. Customized theme development and user roles allow each restaurant just the right level of content management, so content managers at each Governor’s location can post their own specials and special events on dedicated pages. Contact information and maps for each restaurant are also featured on the site, making it easy to find a favorite Governor’s. Since hiring a quality workforce is critical to Governor’s success, the website also features online applications which can be maintained, edited, and adapted without requiring the assistance of a web developer. And last, but certainly not least, the site gives visitors clear and easy access to the online ordering system, the Gov’s Club loyalty program, and the online gift card purchase. 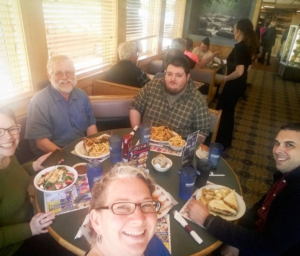 The result of the collaboration between Jill, Governor’s, and RainStorm is a beautiful website designed to give Governor’s control over its content and which will be used for years to come by one of Maine’s most-recognizable restaurant brands! We hope it’s the start of a delicious tradition!